Indiana Horse Rescue View other Horses for adoption. 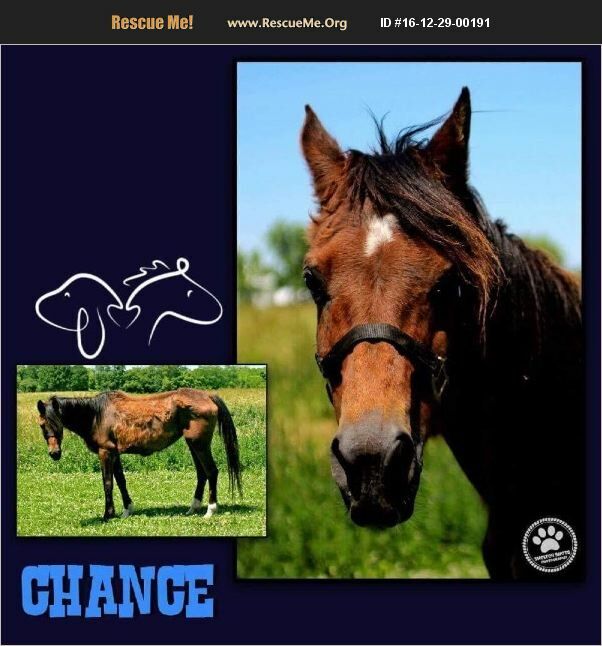 Chance came to us as an owner surrender on 10/24/15 due to a family member passing and the other not being able to care for her the way she should be any longer. Chance had been with the same family for 21 years of her life. All she knew was a fentle hand, love and her family. Until we had gotten here she hadnt trailered in 15 years, although it did take us about half an hour to load her, once loaded she was a dream and came off the trailer easily. Chance is green broke, but will need some refreshing of sorts. She standa for the farrier well and takes her deaormer like a trooper.